BWIS alumni and contributing author for our article about student debt and finances “Paying” the way towards academic success, Mendy Ndlovu has chosen a unique career in Agrometeorology. Find out more about her academic background, her endeavors to use her scientific knowledge to benefit the communities she works with, her personal interests and what makes her more than just a scientist below. Tell us a bit about your background, who is Mendy? Mendy is a young lady, born and raised in Pietermaritzburg, KwaZulu-Natal. I am my mother’s first born, followed by two brothers (19 and 5 years old). My late father passed on just before my first birthday leaving me and my mom under the care of my grandparents who then sent mom back to school and raised me themselves. I have always been top of my class. My principal (in primary) always forced me to represent the school in maths and science Olympiads and when I was in grade 6 I ended up representing the entire district I grew up under and one thing lead to another. In 2007 I found myself being selected for the Oprah Winfrey Academy for girls (first group in S.A following the official introduction of the school) and I ended up meeting Mam Oprah herself , even though I had no idea who she was (blame it on the rural living and lack of resources). At that point, I wanted to be a pilot and a fashion designer/guru, I honestly wanted nothing to do with Science but I couldn’t afford to go to go train to be a pilot after matric and my mom wanted nothing to do with me getting a BA in fashion. Fast forward to today, Science chose me. I have an undergrad in Geography and Environmental management and a Master’s degree in Agrometeorology (focusing on extreme weather events and community resilience under climate change). I am currently proposing for a PhD focusing on Climate modelling and Climate Information Services for South Africa (more specifically marginalized rural areas) for adaptation and mitigation to climate change under the same discipline (Agrometeorology). Tell us about your previous education, where did you study and why did you pursue a post-graduate degree (what is the benefit?)? I did both my undergraduate and postgraduate studies at the University of KwaZulu-Natal in Pietermaritzburg, KwaZulu-Natal (South Africa). When I completed my first degree, I did not feel ready to go out there and work. My degree was more theoretical than practical and that was really scary for me because what’s in the books and what’s actually done at work are different things and I have a fear of not knowing what to do or how things should be done. I decided to stay in school, pursue an honours degree and get a research assistant position to expose me to the more practical side of things. I started working with communities then, identifying knowledge gaps and trying to find solutions and in that way gaining some work experience in different disciplines including agriculture, food security, and climate science. Having completed my honours degree, I had interests in extreme weather conditions and I proposed for a masters and my supervisors helped me link that to community resilience and I started working with the Umngeni Resilience Project then. The main benefits of pursuing a post graduate qualification are mainly related to growth. I grew as an individual, as a researcher, as a scientist, as a leader and as a project manager (which helps a lot for those who want to start organisations and businesses). What does the subject of your current research and why did you choose this? I am currently focusing climate science (Climate modelling and climate information services). I chose to focus on this because climate change is real and the impacts that come as a result of climate change are affecting our communities, which are not capacitated with relevant climate information to help them build resilience and adapt to climate change. The climate science knowledge and information gap between the scientific community and the general public in Africa as a whole is huge and growing which is a big problem because I do not see how people are expected to build resilience to and around something they do not understand. What are the main challenges you face conducting your particular research? Are there any challenges in particular that you face as a woman? Environmental Science and Climate science to be specific are “white” disciplines in South Africa. I went for a job interview earlier this year and when I got to the venue, not only was I the only female, I was the only BLACK female being interviewed alongside 7 white males. Their interview slots were, at an average 20 minutes long and mine was exactly 8 minutes, after waiting for hours for my turn to be interviewed. Yes, I was interviewed by 3 white males, 1 white lady and 1 black male who was shocked to see me walk in. I still give myself a hug each time I think about that day. We as women have a lot to do to address unfair situations within the science industry. Oh and no, I did not get the job. If you could restart your post-grad career again, would you do anything differently to better prepare yourself? I would take some time off after completing my under-grad degree to prepare myself mentally so I can be more tough, confident and resilient in my pursuit of post-grad career. I do not think there’s anything, so far that has required more of my mental strength and energy other than my post-grad career. Honestly it is a crazy environment. Working with different personalities, racial boundaries, the unnecessary competition amongst us women (put race aside), delayed funds to conduct research and the list goes on. I would definitely take some time off to prepare myself and there after build more confident in myself to better represent and pave the way for all my sisters to come after me in this department. Do you have any advice to share with young female scientists following in your footsteps? Firstly you need to be passionate about being a scientist (even if science chooses you like me, find a branch you’re passionate about). Being a female scientist is tough, really tough. This means that you have to be tougher in pursuit of your career in Science. Follow your passion with confidence! You are going to need this because most disciplines in Science are male-dominated. Also, find a mentor, I really cannot over-emphasize this point. Build resilience around what you are doing, so to say have both plan A and B even when you have 80% chance of making it the first time around. Lastly take risks, face your demons heads on, network (this is hard, I still struggle but it is very very important) stay humble but reach for Mars! “And when you want something, all the universe conspires in helping you achieve it”- Paulo Coelho but to add onto that, you have to be in line with YOUR purpose! I don’t see the universe giving you what was never meant for you. How do you manage academics and your personal life? Time management! I think this has been the most important skill I’ve taught myself. I have had to learn the hard way that the anxiety that comes when I am behind in my academic work will definitely ruin the time I spend with my family, friends, business partners and outreaches. So I manage my time the best way possible so I can have time for and proper state of mind for my personal life. DISCLAIMER! This is not always effective and I sometimes find myself having to choose between the two and academics come first most of the time because there’s a lot at stake and trust me, you’re always being watched as a black woman. What other activities interest you? Climate Action and awareness, I was part of the organising committee for YOUTH4CLIMATE ACTION Durban, find more details here. Community outreaches and development (this is very close to heart and that’s why I started an organisation focusing on this after working with the street store for 2 years): Click here for more information. Being around the ocean (this helps me calm down and realign myself). Reading (The Alchemist by Paulo Coelho remains a favourite). Travelling, music and nature photography (Day dreaming is real most of the time). FASHION! FASHION! FASHION! (I owe it to myself to do something big in this industry). Well this is exciting! I’ll be Dr. Ndlovu in 5 years’ time (Insert the victory dance move). I would have built my grandmother a home she has been dreaming for. I’d be one of the most influential women in South Africa, even the world (maybe). I do hope to be one of the Forbes 30 under 30 humans (laughs). 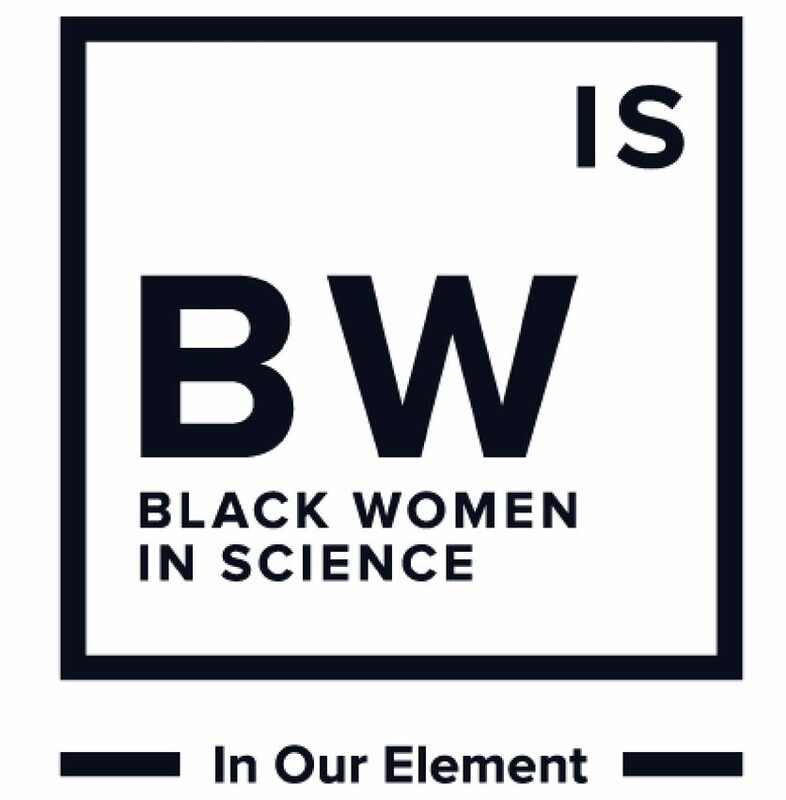 Our mantra as BWIS is “In Our Element”, are you in YOUR element? What does this phrase mean to you? Being in my element means being in line with my purpose, using all my potential (before I depart) serving in my field, giving back and empowering communities and being the best version of myself each time I show up. And yes, I do believe I am in my Element. Continuing on from our previous conversation with BWIS alumni Mendy Lisa Ndlovu (access her article here and her profile here), how can one further their studies amidst a financial crisis? Well, there are plenty of financial resources available, however, searching can prove to be quite the tedious task. We have compiled a list of a few websites to start your search and shared some advice and ideas. We have also included search engines providing you with even more opportunities not on this current list, your search can be tailored to your specific needs. Have a look at the list below and click on the highlighted text to be redirected to the relevant websites. Start by approaching your campus and exploring faculty scholarships and bursaries. Higher education institutions often reward students achieving high academic excellence. Also look into companies that are involved in the scientific discipline, they offer bursaries, internships or job opportunities to graduates. Be attentive to the Department of Science and Technology (DST), and the Council for Scientific and Industrial Research (CSIR) to be updated with the available financial support bursary programmes, grants and awards. Go Study: tailor your search to your specific needs. Bursaries South Africa updates you on what is available from private companies, institutes, universities the government and many other public bodies. The website also covers various other fields of study so be sure to tell your friends. BWIS supports international scientific collaboration and formulating strong international academic relations. Those of you interested in crossing the South African boarders have many options to start your search. The Department of Higher Education and Training (DHET) provides a list of international scholarships and fellowships for South Africans, a quick search through their website will lead you to a number of options. This is a little secret that not many people know about, you can explore the embassy websites of your prospective country of study. Embassies often advertise available scholarships and bursaries for students wanting to study in their country. The French Embassy in South Africa and Campus France for example, offer a number of scholarships for students wishing to pursue their Masters or PhD studies in France (English are courses available). You can view these here and here. Explore these options for your country of choice. Erasmus+ offers scholarships for students to study abroad, staff training and teaching opportunities, traineeships and apprenticeships and youth exchanges. Learn more about their opportunities here. Interested in travelling within Africa for your studies? Click here to access the Intra-Africa Mobility Scheme of the European Union and take advantage of opportunities at top universities across the continent. A great website to search for scholarships, short-courses and training available within Africa and across continents worldwide is After School Africa, here you can search for all scholarships available for developing countries. Bursaries South Africa provides a details and information regarding student loans. Click here to be more informed about the loaning process and to see what student loans are offered by the four major banks in South Africa. We advise all students to take caution and understand the terms of your student loans from banks and financial aid. Pay attention to the overall costs involved such as interest and the conditions of repayment, know how these will affect your finances once you start earning an income. A 2017 IOL article by Martin Hesse (click here) provides more insight on NFSAS and the bank loan options available to fund your studies. Hesse covers details we often neglect such as, eligibility or qualification criteria, the student expenses covered, details regarding the repayment of loans and the associated charges. He also offers advice for students to consider prior to making a commitment. Refer to this Parent24 article by Carin Bevan here, to better understand the different government and university bursaries and financial aid opportunities available to at tertiary institutions across the country. If the closing date has already passed, do not despair. Use this as an opportunity to better prepare for the next call. Take note of the scholarships that interest you and have another look in a few months. Observe the scholarship criteria and start preparing some aspects of your application in advance. The application process can be demanding which could be discouraging and lead to an incomplete application, many scholarships have not been awarded due to a this fact. Subscribing to mailing lists and paying close attention to social media notices will ensure that you don’t miss out on the next call. Stay alert! Word of mouth can be highly beneficial, speak to your supervisors, lecturers, friends or anyone relevant about your desire to gain financial support for your studies. Do not stop your search here, there are many more resources to explore. Pay attention to you student notices, these will keep you updated on what is available.